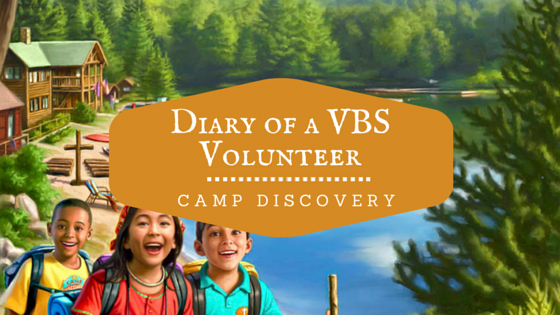 Thursday—VBS is almost over—only one day left. Unlike some past years our attendance has not dropped off as the week has gone along. Today the students were very excited by the series of mystery boxes Luke and I prepared in advance. Each box had a common item inside. Students divided into teams and sent investigators to put their hands through the hole in the box to try and identify the contents. It was fun to watch the student’s faces as they felt the contents and suddenly realized what they were feeling. This was especially true when the investigators got to the boxes containing some sun-warmed gummy worms! For some, day four was just a bit too much. The fourth grade students were so noisy and unable to focus that we finally just had them sit down on the sidewalk to cool their heels for a while. By the time the second grade students arrived one young man had finally had enough. He’s slightly autistic, when he couldn’t get his team to do things exactly the way he thought they should be, a complete meltdown followed. Blessedly two of the youth counselors pulled him aside and managed to calm the worst of the tantrum before it was time to go. Weather forecasters are calling for strong thunderstorms for Friday morning so we’re rethinking our obstacles for an indoor setting. Sadly, no water obstacles for this year.